B-town has flooded Tiger Shroff's social media handles with loads of appreciation for his recently released Student of the Year 2 trailer. The actor is seen with action sequences, electrifying dance moves and wacky Bollywood dialogues to top them all. Tiger Shroff has gained widespread attention for his performance in the latest trailer. Here's what the celebs had to say: Varun Dhawan the Ex-student wishes luck to his successor saying, "Here's wishing all the new student #tara #ananya and the tiger of our industry @iTIGERSHROFF congratulations on getting into st Teresa. Great job Punit #SOTY2Trailer"
Another Ex-student took to social media to wish their next batch saying, "All the best guys!!!! Looking like soo much fun... @iTIGERSHROFF #AnanyaPanday #TaraSutaria"
Abhishek Bachchan complimented saying, "What fun! All the best @punitdmalhotra @karanjohar @apoorvamehta18 @iTIGERSHROFF @ananyapandayy Tara." Hrithik Roshan who appreciates his future costar on twitter as well as on Instagram commenting, "Bullseye!! Cheers to a very worthy student @iTIGERSHROFF Good luck to the entire team. #SOTY2Trailer" and "Absolute stunner !! Fantastic !!" respectively. 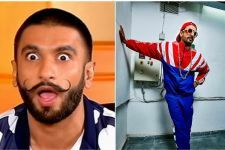 The Gully Boy of B-town Ranveer Singh also commented saying, "Yieeeaaah!" 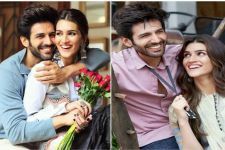 Kartik Aaryan praised the star saying, "This looks kickass !! Congrats to the new batch #AnanyaPanday #TaraSutaria And @iTIGERSHROFF my bro keep roaring !!! Cant wait watch it"
Huma Qureshi cheers for Tiger and the cast saying, "Woah! Can't wait to see ... love @iTIGERSHROFF @ananyapandayy #Tara @karanjohar @apoorvamehta18"
The cute couple Riteish Deshmukh - Genelia Deshmukh were thrilled and amazed by his performance sharing, "Loved the trailer of #Soty2 So proud of you my friend @punitdmalhotra - @iTIGERSHROFF you are in top form @tarasutaria__ this is going to be a perfect debut, @ananyapandayy you are so so good am super thrilled- My dearest @karanjohar & @apoorvamehta18 One more Blockbuster"
"Punittt fabulous... looks amazinggg ... congratulations @karanjohar @apoorvamehta18 @punitdmalhotra @iTIGERSHROFF #Tara @ananyapandayy @DharmaMovies @foxstarhindi @ZeeMusicCompany @SOTYOfficial @dop007 @VishalDadlani @ShekharRavjiani .. Super duper cool .."
The producers shared their views as, Warda Nadiadwala said, "All the love, luck & win in this race! Abhi toh tune start kiya hai TIGER TIGERRR #SajidNadiadwala" and Nadiadwala Grandsons acknowledged his performance saying, "GET READY TO FIGHT @iTIGERSHROFF is here to win. All the love and luck! #SajidNadiadwala @WardaNadiadwala #SOTY2Trailer"
Vikram Singh loved his costar's performance he said, "Loved the Trailer . #Success Written all Over.. Cheers Bro @iTIGERSHROFF Hugs"
Tiger Shroff has been the heartthrob of many girls ever since his launch. 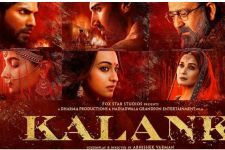 The action Superstar has added his power packed action style to the typical Dharma production. After the humongous success of Baaghi 2, Tiger Shroff will be making his on-screen appearance in Punit Malhotra Student Of The Year 2. Apart from that, Tiger will be next seen in an untitled film with Hrithik Roshan, Baaghi 3 and an official remake of Rambo.